The thought of going through the ice is terrifying, but even more horrific when you add kids to the equation. A good buoyancy suit is absolutely priceless should such an incident occur. If you don’t have a flotation suit for your kids, check this Clam suit out over at Amazon for $20 less than anywhere else. 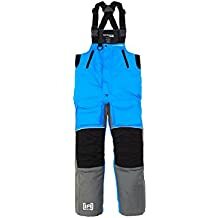 Own and use a Clam Ice Armor Youth Lift Ice Suit? Take advantage of this Ice Fishing Deal? Give us your two-cents in the comments below. Posted on September 13, 2017 September 13, 2017 by IFDPosted in All Deals, Apparel & ClothingTagged Bibs, Clam, clam ice armor, Clam Ice Armor Youth Lift, Clam Ice Armor Youth Lift bibs, Clam Ice Armor Youth Lift jacket, Clam Ice Armor Youth Lift parka, clam lift, clam outdoors, Ice Armor, Ice Suit, Jacket, lift, Parka, youth.